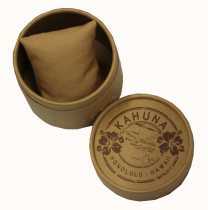 Authorised retailer for Kahuna Watches. Free delivery, 30 day free returns and five-star rated service. Buy now with up to 12 months 0% finance. Kahuna is a famous brand worldwide; if you surf, mountain bike or skateboard you will have definitely come across the brand before. Kahuna watches are world renowned for tough watch straps as well as their uniquely fashionable casual watch range. Kahuna describe their style as "sun, surf, music and mayhem" and a "laid-back bohemian watch collection that is a must-have for the style-savvy." Kahuna was founded on the 1st of January 1995 with the goal of leading the way in youth and style when it comes to accessories. Over the last 20 years Kahuna have built a reputation for building impressively tough watch straps as well as a fantastic range of casual, fashionable watches. With a wide range of men's and ladies watches in a wide variety of styles you are sure to find something to suit you within the Kahuna range. Whether you're looking for a sporty watch like the Kahuna KCS-001G Gents Watch or a beautiful casual laid-back stylish watch like the Kahuna KLS-0240L Ladies Watch you will find something to suit you. One of the most popular watches within the range is the Kahuna Friendship Bracelet Watch which is unique, stylish and incredibly affordable. 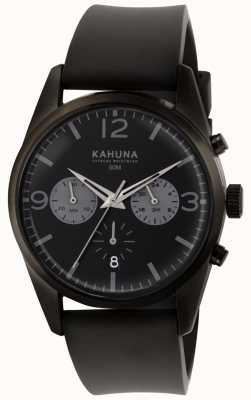 You'll be amazed by the affordability of the watches in the Kahuna range. Watches in the range start as low as £20 and incredibly stylish, well-built watches like the Kahuna KUS-0083G Men's cost less than £50. If you love stylish, fashionable watches that don't break the bank then Kahuna watches are perfect for you!